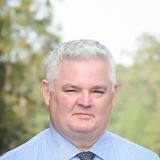 I have recently begun to realize that there is a shift in the market that I haven't seen in a long time, a Seller's market has begun to take shape in Savannah and the surrounding area. Savannah is a vibrant city with a lot going for it. It's proximity to I-95 and I-16, it's rail service, the port and of course it's just down right beautiful which has spurned a boon in tourism. People love Savannah and they want to live here! Rents are really high. Just think you can buy a home with the initial outlay being much cheaper that renting. There are VA and USDA loans which require no money down. FHA loans require 3.5% down. Do the math and if you have any questions call or email me! Be prepared! It's getting tough out there!